Minoru "Mick" Etoh's official page that reports my business trip, interests, technical discussions, wines/foods, and sports. Just about a year ago, I was in a restaurant in Palo Alto with Professor Toshiro Kita at Doshisha University of Graduate School of Business, who was then staying in San Francisco. We were debating the following questions over a glass of beer: Aren’t Japanese companies creating goods and services in a wrong way? Have they stopped providing “human-centric” products and services known for meticulous care in every detail although it has been considered Japanese companies’ specialty? Alberto Savoia, a Silicon Valley entrepreneur, is advocating “pretotyping” as innovative design techniques for goods and services. It’s not “prototyping,” which means building a functional prototype to collect customer feedback before “it” is actually produced. Pretotyping, on the other hand, is about conducting customer-oriented design to minimize production efforts as much as possible. According to Alberto, he coined this term by combining “Pretend” with “Typing” in November 2009. Now that this term has become widely known, a search engine will no longer give you likely correct spellings when you type in “pretotyping.” In this new “pretotyping” approach, you should “make sure you are building the right ‘it’ before you build it right” by pretending to already have “it” so that you can determine if customers will want it. Hereinafter in this article, any reference to “it” refers to goods and services. A couple of successful examples better explain what pretotyping is. Let me share with you a fascinating anecdote on the “human-centric” design of the Palm Pilot in 1996 by Jeff Hawkins, Palm’s co-founder. Hawkins’ previous attempt to launch a mobile terminal failed in late 1980’s. The product was technologically original but a commercial failure. It was too big and did not look sophisticated. Several years later, he developed a pretotype of a new mobile phone. It was a pocket-sized block of wood wrapped with paper on which he printed images of a calendar and memo. Every day he carried “it” around with him in his pocket, pretending it was working. From time to time, he pulled it out from his pocket and pretended to record some plans on the calendar, checking its button configuration and display. He built a prototype of the terminal after he had become confident that “it” was going to be an innovative product. As he had predicted, it turned out to be a hit as a cool multi-functional electronic organizer. 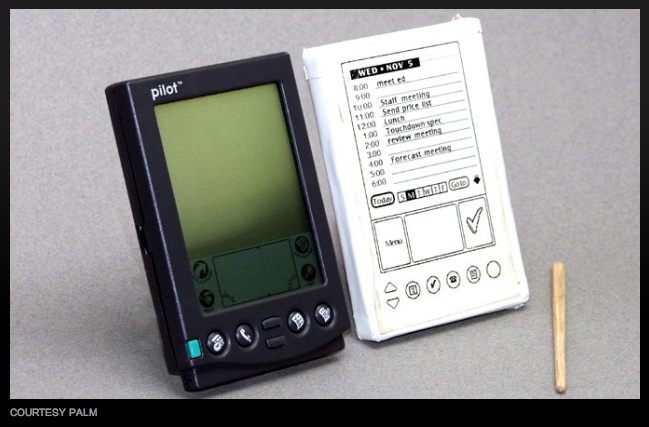 I believe that smartphones today trace their roots back to this Palm Pilot. I was so excited about Alberto’s pretotyping story, and I have become a pretotype evangelist accredited by Alberto. Whenever people come to me with a development proposal, I always ask them these three questions: 1. Do they want “it”? 2. Can we build “it”? 3. Can we make money through “it”? We too often get trapped here, thinking of these questions in reverse order from 3 to 1. Engineers, including myself, are particularly prone to this type of error. We start making a product or service after thinking about question 2 most seriously while giving some thought to the limitation raised by question 3; the most important question 1 is usually left on a back burner. Can anyone expect to innovative “it” only through questionnaires or interviews with hundreds of people? Aren’t we “decorating” our products with “differentiating features” only by looking at our competition instead of customers? My belief is that we are able to build human-centric “it” only after pondering over question 1. Last week, I stopped over Milan for en extra business on the way back from Barcelona to Tokyo. 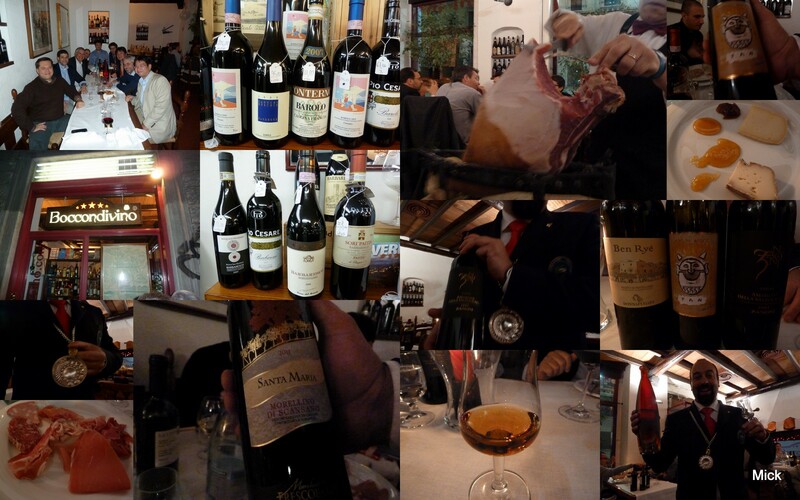 This is my memo for further chances to stay in Milan for loving wines. I bought Roberto Voerzio Barolo Cerequio 2005, Giacomo Conterno Barolo Cascina Francia 2007 and other two bottles. For me, Italian wine is mystery. This is because there are several Barolo or Barbresco wines though, those tastes don't have commonality under the same brand. I hope that Barolo outperforms other Italian wines at the next wine tasting party. The perfect night it was. Reading AWS Cloud Design Pattern (CDP) is completed. The article, Cloud Design Patterns (CDP), shows me "A programmer gets another power of programming over dynamic system configuration." PaaS has opened a new vista, where cloud enables programmable data center configuration. Between Kamakura and Yokohama, there is a small trail called "Beetles Trail." I don't know why it's called "Beetles" though, it has been a well-known path ridge which divided two provinces, Musashi and Sagami from 7th century to 19th century. It still exists as a hiking route from Yokohama to Kamakura, and seems very popular for hikers and train runners. (Cross Country Cyclist) , even though I have to carry the bike in a steep slope on my shoulder. 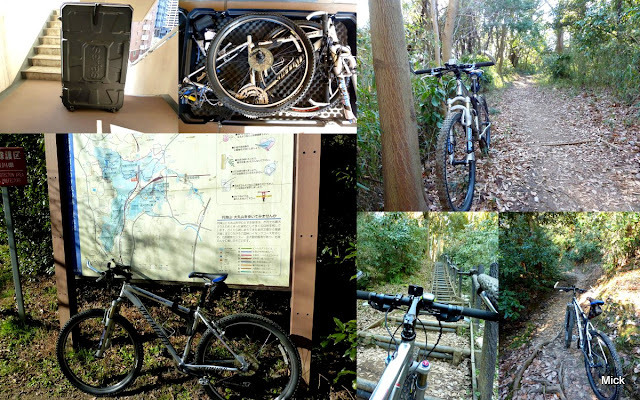 It was a nice winter day for a short riding to go Kamakura from hills. A trail map, which is unfortunately written in Japanese, is linked here. I dig out my old pictures taken when I was living in Osaka, My home was located among Kyoto, Nara, and Osaka. I was commuting from my home in Osaka to my office in Kyoto via Nara. That was a kind of Inter-Prefecture Commuting Cyclist. The above route map shows the distance and elevation gain, which are about 12.3km and 280m respectively. Those days,I really enjoyed my daily workout with my bicycle which I still own here Yokohama. 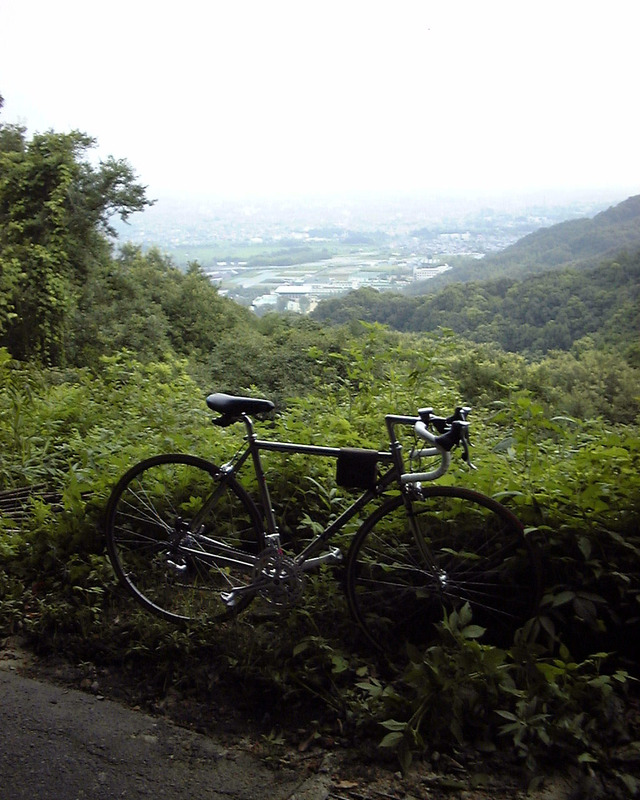 The picture below was taken during hill-climbing to Nara. I was still young at that time for climbing the mountain every single morning. Cateye Daylite (with two wide and spot halogen lights) was equipped for night riding to return to my home. Those are of my precious old memories. Is the Future of Telcos Mobile or Untethered?" A fresh look at mobile backhaul could be key for operators to cost-effectively keep pace with the mobile data boom, according to a panel at PTC’13. But that could mean some very different approaches to engineering – and even a fresh look at relationships with competitors. Industry consultant Norman Fekrat and NTT DoCoMo R&D MD Dr. Minoru Etoh agreed that Wi-Fi offloading, while easing some of the mobile data load, wasn’t a universally optimal solution. Etoh built on his recent arguments in favour of small cell deployments – but such deployments have implications at the backhaul layer. “Your chance exists in backhaul connections, and last-mile connections using WiMax or wireless connections,” he suggested, for the benefits of operators with both fixed and mobile assets. “Mobile broadband needs to be re-engineered for internet-type economics; the mobile platforms out there, the cell sites, the backhaul needs to be just done over the internet,” added Fekrat, who argued that the economics of wireless should be brought as far as possible in line with those of wireline systems. Dr. Mick Etoh has dual roles as President & CEO of DOCOMO Innovations and Managing Director of R&D Strategy Department, SVP of NTT DOCOMO. He contributed to launching DOCOMO’s 3G mobile multimedia services from 2001. His contribution includes the first MP-4 … enabled mobile content download service prior to iPod, the first distributed speech recognition service with cell phones, and H.264 standardization for ITU/ISO joint team’s Engineering Emmy Award 2008.